Hi guys! 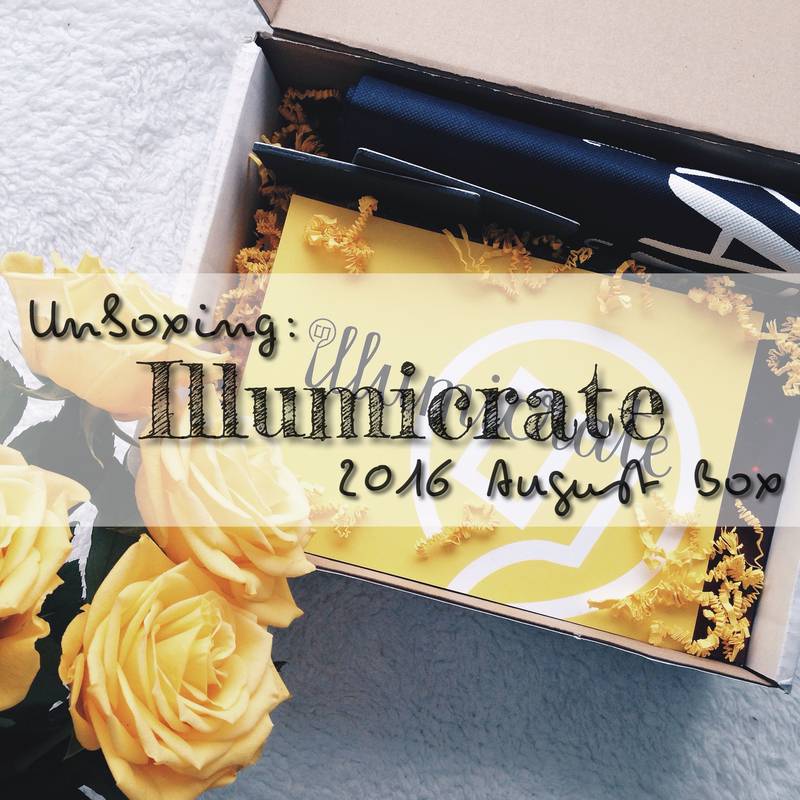 Two days ago, I received my most awaited packages and one of them was my Illumicrate August Box. 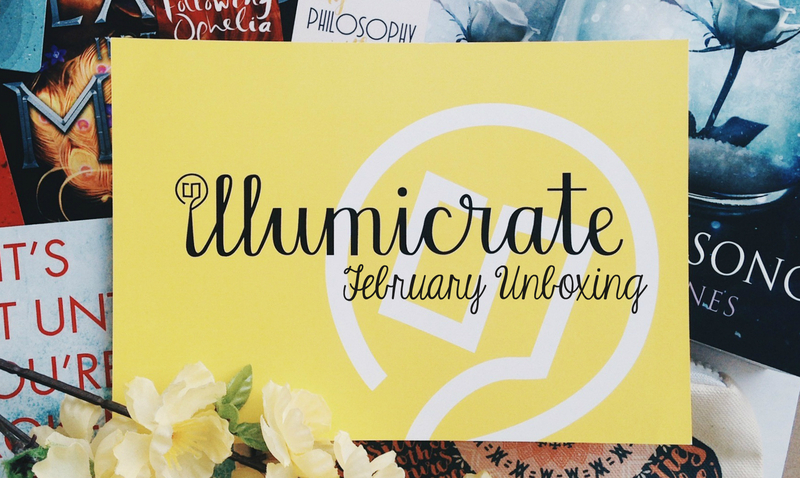 In case you didn’t know, Illumicrate is a quarterly subscription service which gives you a new released book and tons of exclusive bookish items- in short, box full of happiness. 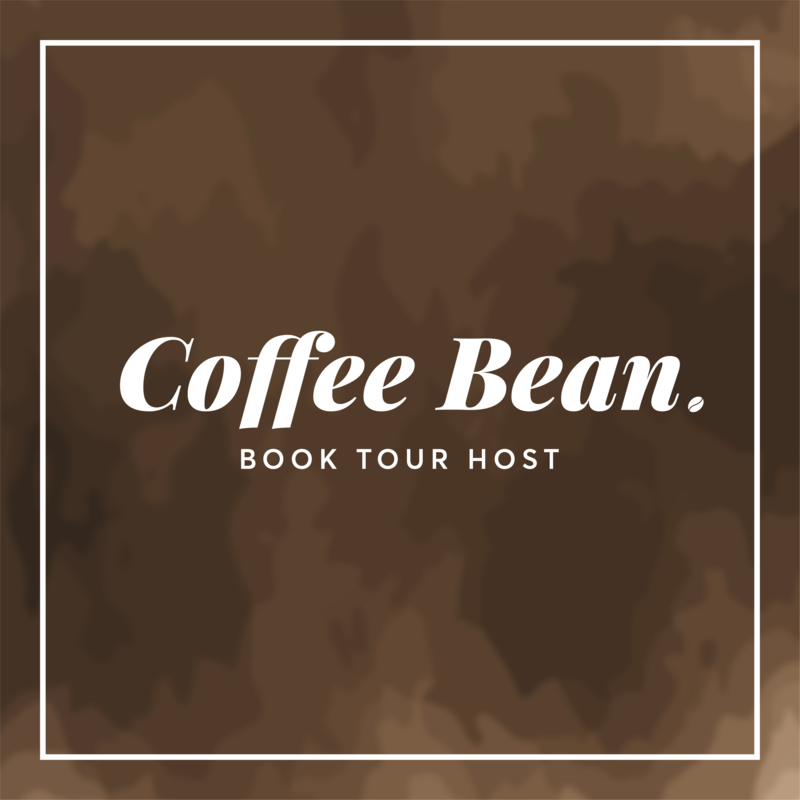 It is owned by Daphne, who is also a reader and a booklover. The great thing about this type of subscription is it gives you time to save some money for the next box, especially if you’re still a student or not working. 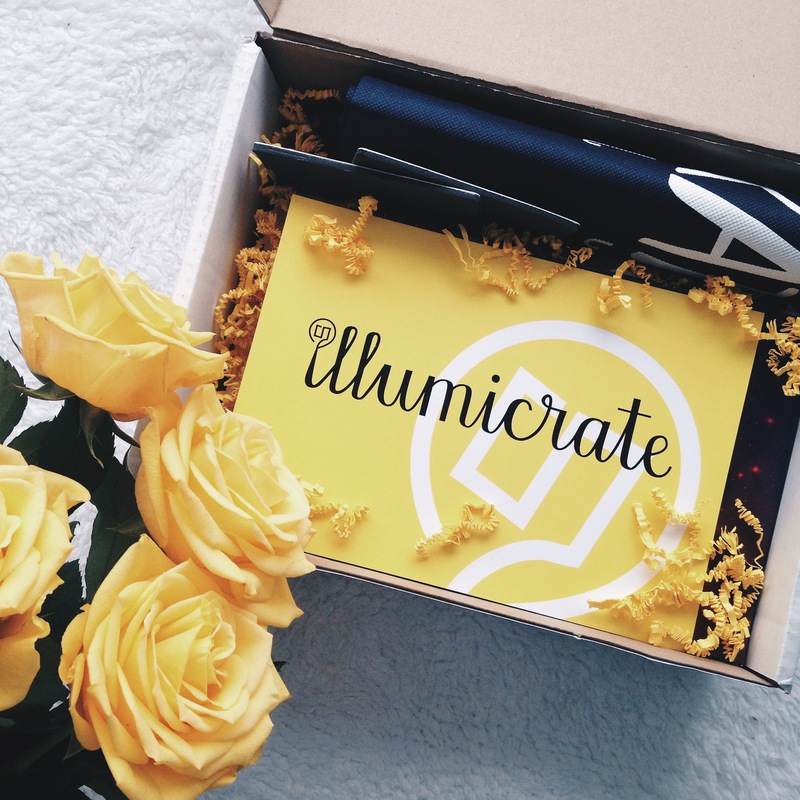 Illumicrate costs £29.99 (per box) and ships internationally. The shipping fee depends on your location. So, enough with the chit chat and let the unboxing begins! Wait! 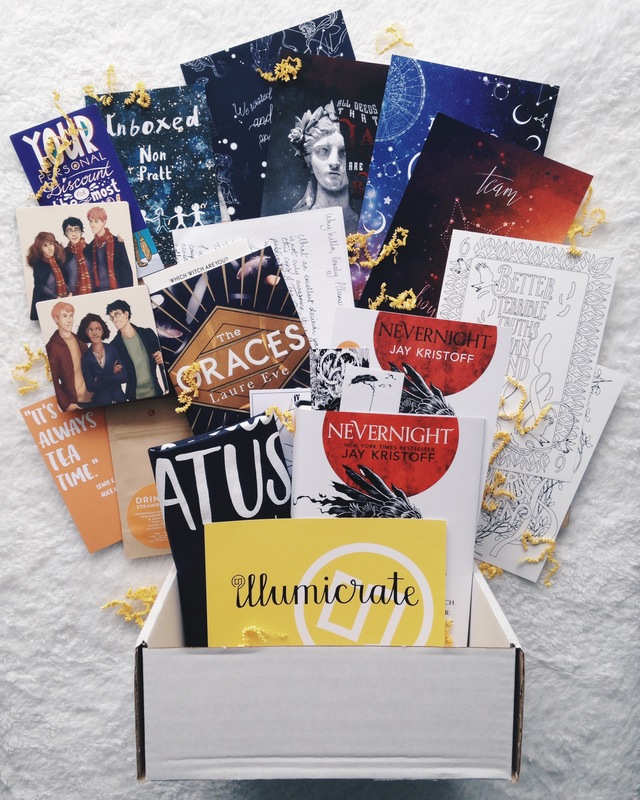 If you haven’t received your August Box yet and you don’t want to be spoiled, I suggest you to stop reading. If you still want to continue then let’s proceed. The Illumicrate Packing List welcomed me when I opened the box. I really love the simplicity of the design (the logo and font) and the color yellow. ♥ I didn’t read the list, by the way, because I want to surprise myself. 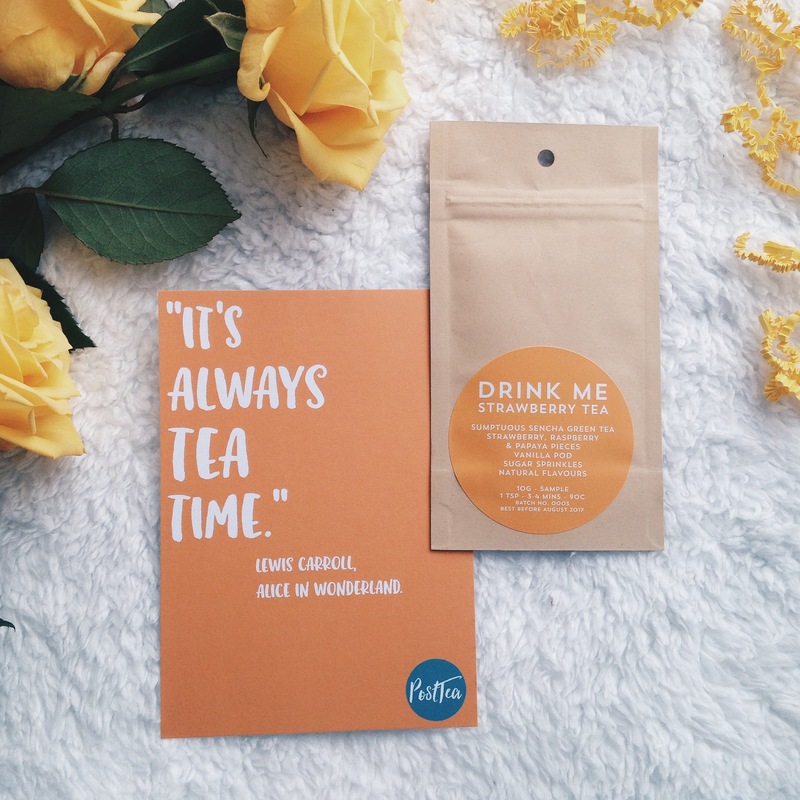 The Drink Me Strawberry Tea by Post Tea caught my eyes (and also my nose). This is so perfect because I love tea and strawberries. It also smells soooo good! I can’t wait to try it. ♥ This is one of the exclusive items in the box. 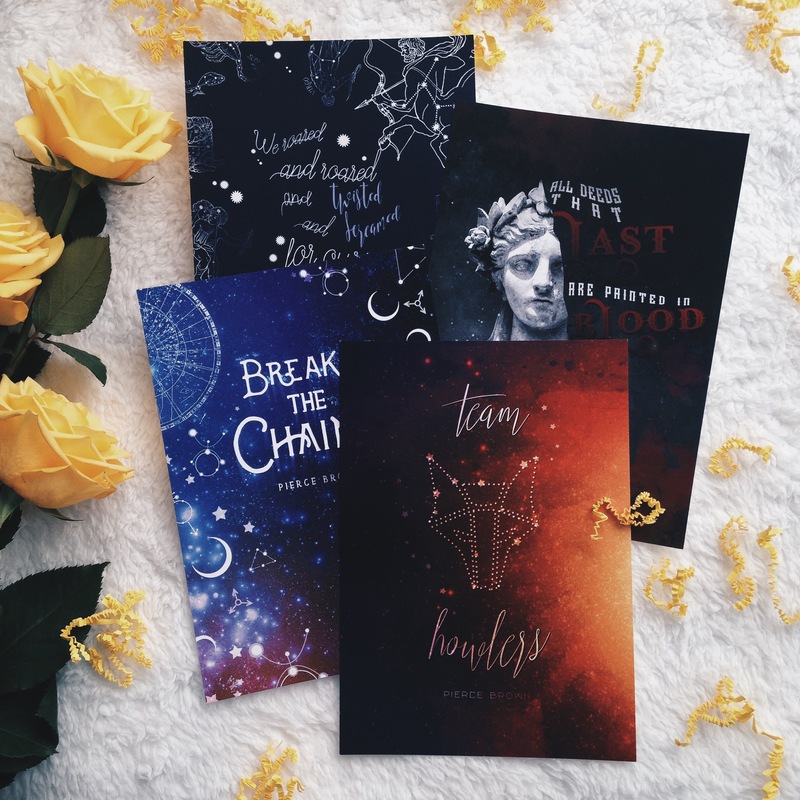 Pierce Brown’s Red Rising-inspired prints. 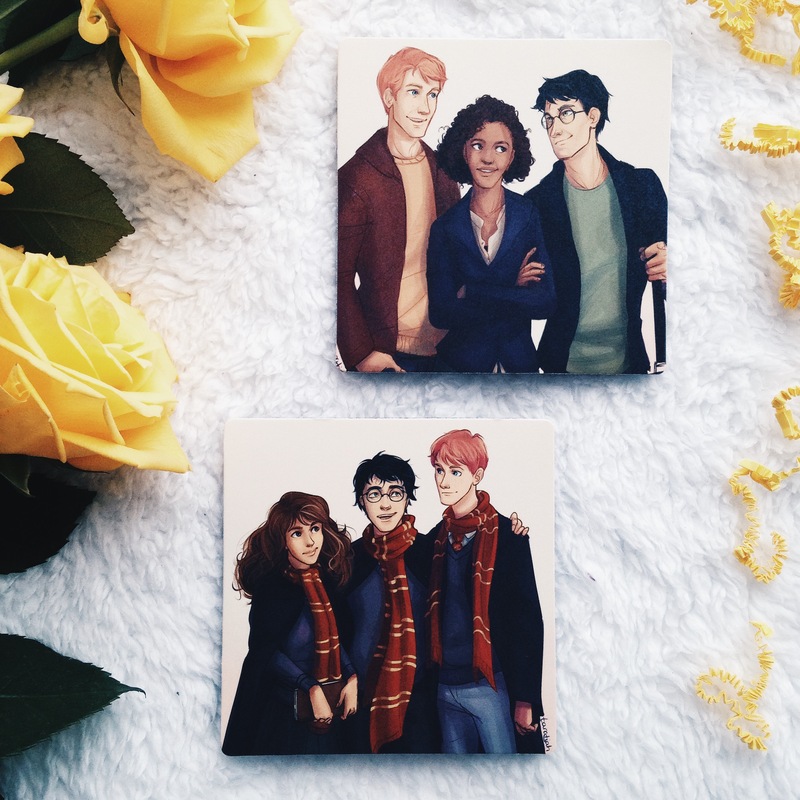 I haven’t read the book yet but these prints are so gorgeous. ♥ My favorite is the one that says “Team Howlers”. I have a confession to make. At first I thought this has something to do with HP. 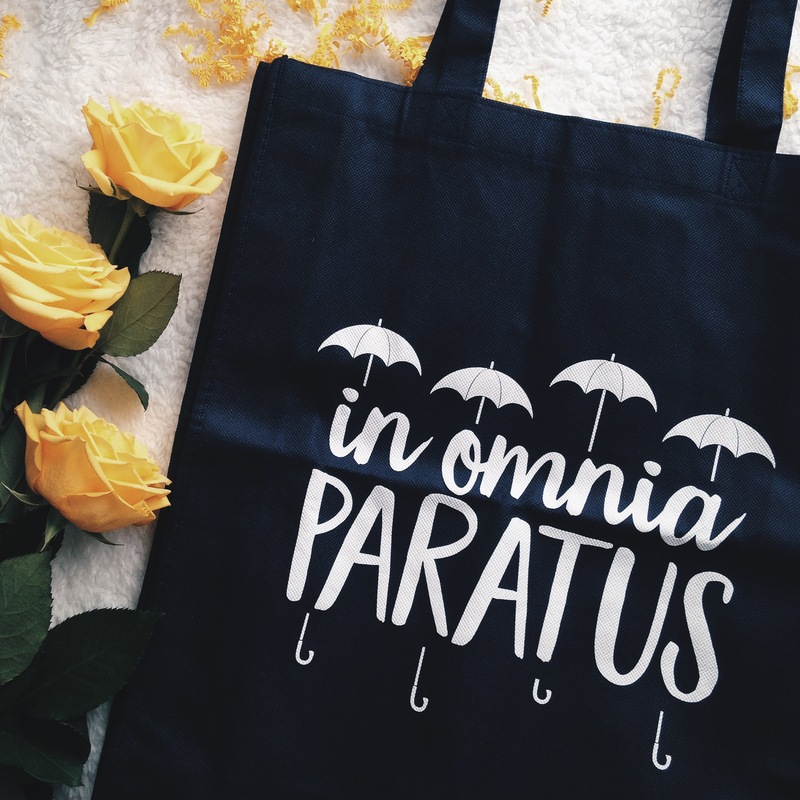 I had no idea what “in omnia paratus” means so I thought maybe it’s one of the magic spells that I’m not familiar of. LOL. I had to check the list to know that this is a Gilmore Girls-inspired tote bag and it means “ready for anything”. This is also an exclusive item from Colorful Geekiness. 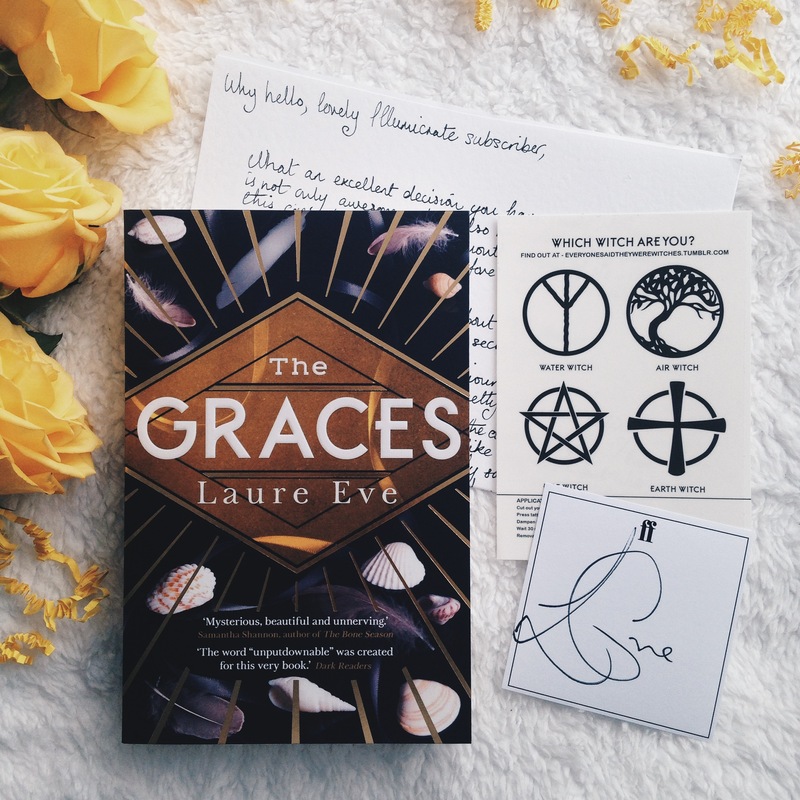 The first book is a paperback edition of The Graces by Laure Eve. It is “an eerie, dark story filled with intrigue, magic and obsession.” which will be released on September 1 this year. It has witches on it and the cover is pretty so I’m interested to read this. 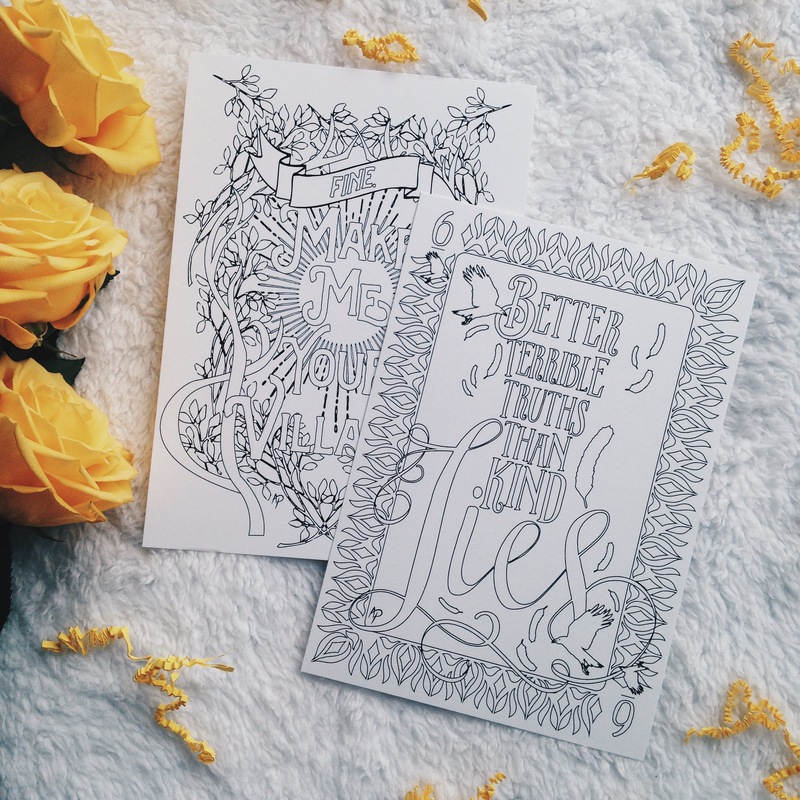 A signed bookplate, temporary tattoos and a letter from the author were also included. The second book made my heart beats fast! 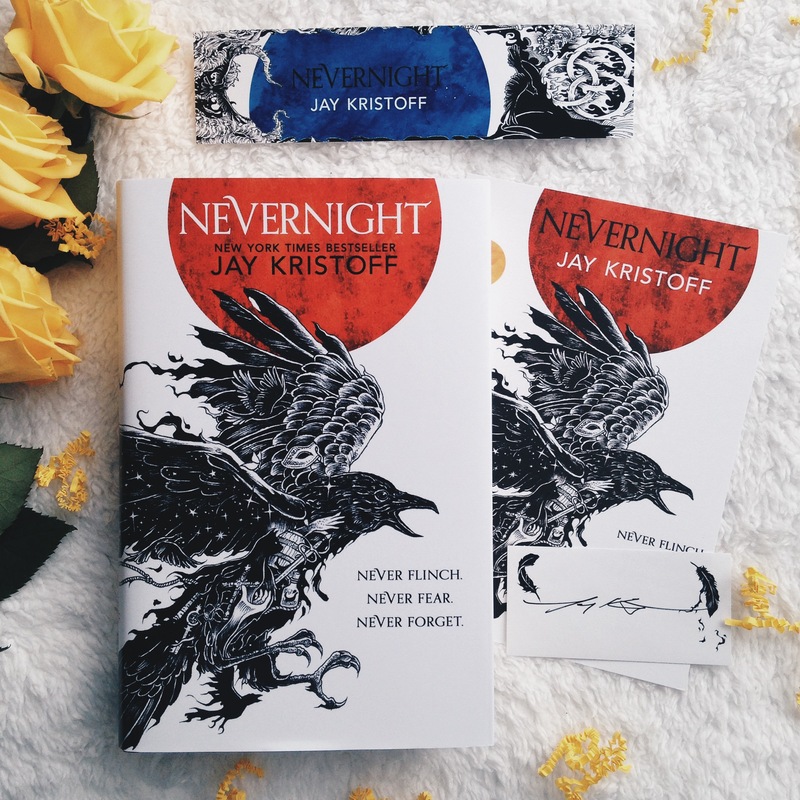 It’s a hardcover edition of Jay Kristoff’s Nevernight. ♥ I haven’t read any from Kristoff’s books (I have a copy of Illuminae) but I’m hearing and seeing great things about them. Nevernight is on my to-buy list so I’m really happy that Daphne chose this one for the August box! Just look at the cover. Even my husband agreed that it’s breathtaking. It also came with a bookmark, art card and a signed bookplate. 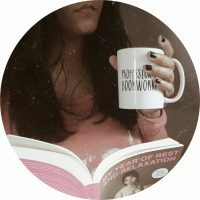 A personal discount for MyBookmark aka the most unusual bookmarks in the world. I have one and I really love it. I checked their shop and I think i’ll get one of the Magic Houses Socks bookmarks. 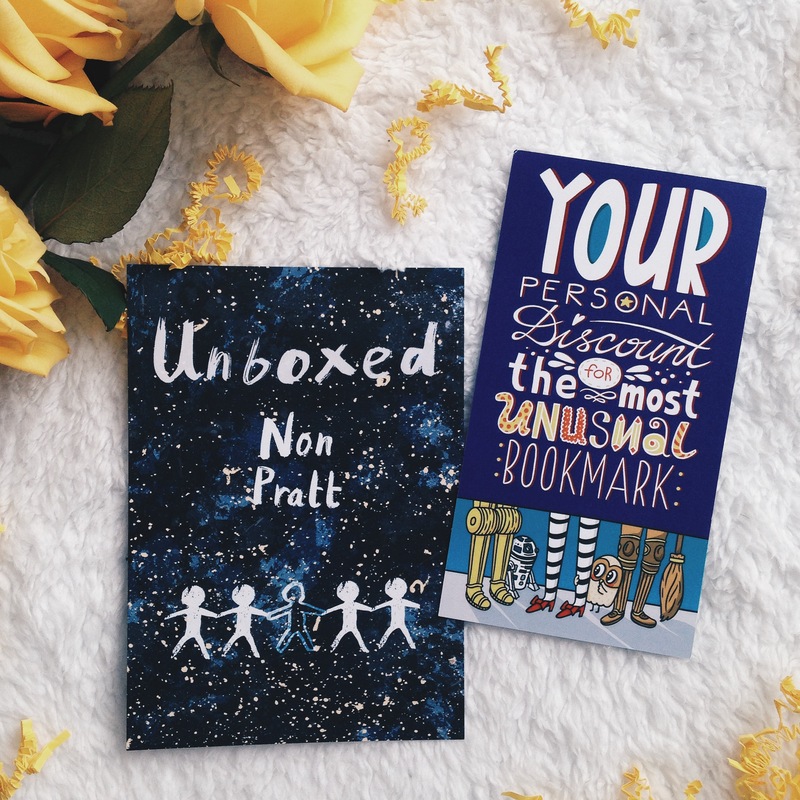 There’s also an advertisement of Non Pratt’s new book called Unboxed. It’ll we published on the 15th of August. 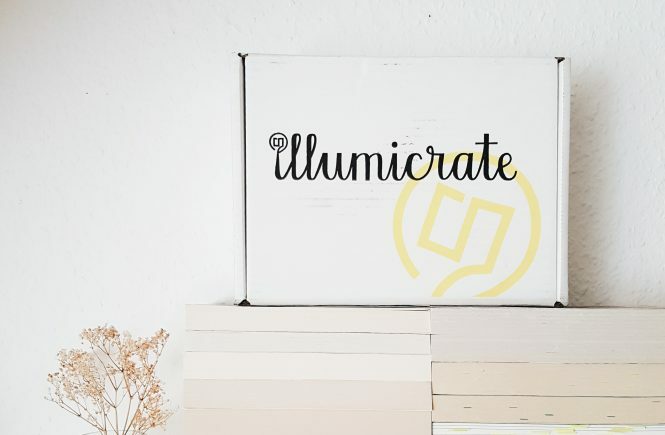 The next box would be on November and you want to susbcribe, visit http://illumicrate.com. Use the code KATH10 to get 10% off your first box! *Disclaimer: Illumicrate did a brand rep search and I was one of the lucky persons who got chosen. A huge thanks to Daphne for this awesome opportunity.